This week’s Gallery Prompt at from the lovely Tara over at Sticky Fingers is Food. This is my entry. 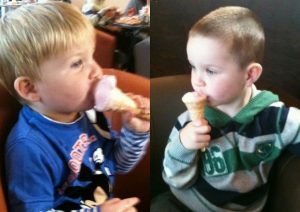 My little ones love ice-cream just like their mummy. These were taken yesterday when we were out for lunch for my birthday. 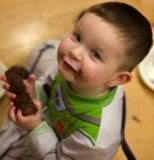 Lucas loves birthday cake, especially chocolate. This is him enjoying a piece of his third birthday cake. Gorgeous! Hope you had a lovely day yesterday! Happy belated birthday 🙂 hope you had a lovely day?I love ice cream too! The photos are great! Oo and happy belated birthday! !